The robbery of a shop on South Circular Road happened about about 1pm. A MAN HAS been arrested after an armed robbery in south Dublin this afternoon. The robbery happened at about 1.05pm when a man entered a store on South Circular Road in Rialto and demanded cash while pointing a gun at staff. He was wearing a black jacket, blue tracksuit bottoms, blue runners and his face was covered with a piece of white clothing. He left the store with a quantity of cash and turned right before heading down New Ireland Road. 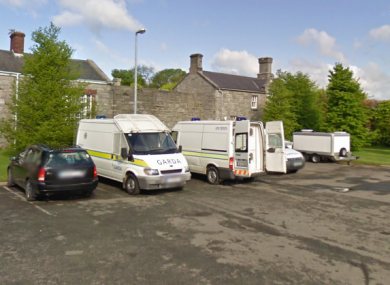 A number of different garda units were tasked to search for the raider and soon afterwards they spotted a man running into the bushes in the Dry Dock area off New Ireland Road. The 29-year-old man was arrested as is currently being held in Kilmainham Garda Station where he can be held for up to three days. In a search of the area near his arrest, gardaí found a gun and quantity of cash. Email “Man hiding in bushes arrested after armed robbery in south Dublin”. Feedback on “Man hiding in bushes arrested after armed robbery in south Dublin”.